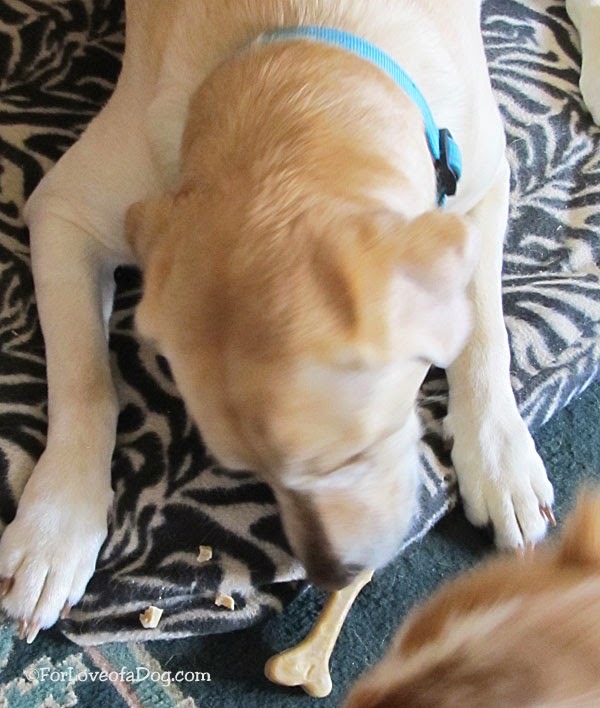 My dogs have taste tested Blue Buffalo Wilderness grain free Duck Biscuits last fall and a couple of years ago sampled their Wilderness Trail Jerky dog treats and loved them. So when Chewy asked if they'd like to try Blue Buffalo Wilderness Dental Chews, it was all paws up! 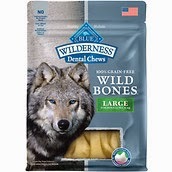 According to Chewy, Blue Buffalo Wilderness Wild Bones are a 100% grain-free treat made to satisfy the spirit of the wolf that lives in every dog. Made to look just like something the wolf pack would search for in the forest, Wild Bones will help clean your dog's teeth as well as freshen his breath. They are made with only the finest, natural ingredients and will satisfy your dog's primitive instincts the way nature intended. 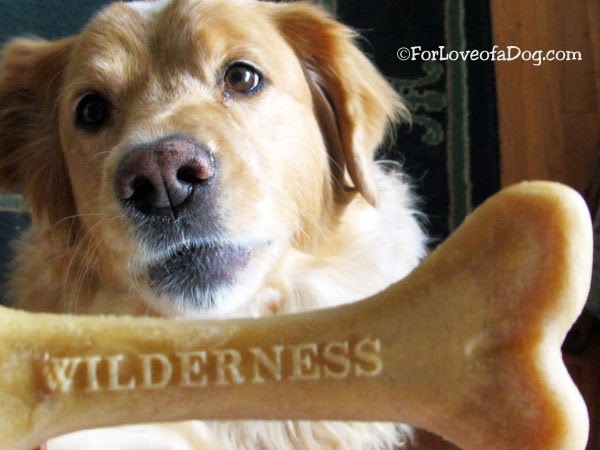 Made with only the finest natural ingredients, Wild Bones dental chews are free from both grains and glutens. They’re 100% chewing pleasure any dog will love. 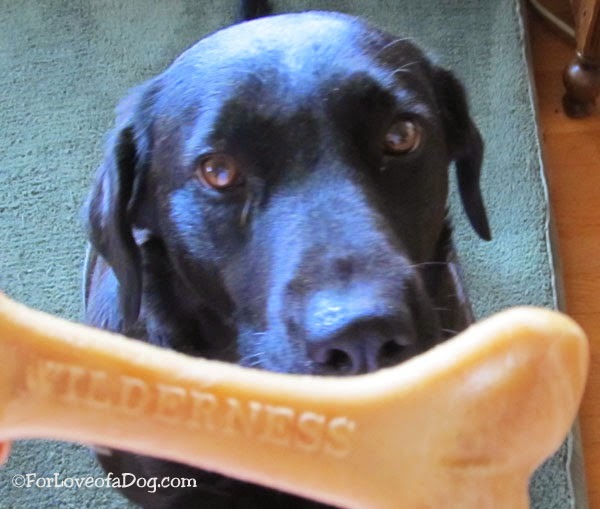 Like all BLUE Wilderness® treats, Wild Bones contain no artificial colors, flavors or preservatives so your dog can satisfy his primitive instincts the way nature intended. Wilderness Wild Bones contain NO chicken (or poultry) by-product meals, NO corn, wheat or soy, and NO artificial flavors, colors or preservatives. No fair, Mama, the bag isn't open. Taste test waiting is so hard! Large Bones for dogs 50 pounds and up. Blue Buffalo is made in the US. These Blue Buffalo treats are grain and gluten free - no soy, no corn, no wheat. Chewy.com supports animal shelters and rescue groups with an easy way to raise funds with their Shelter & Rescue Network. 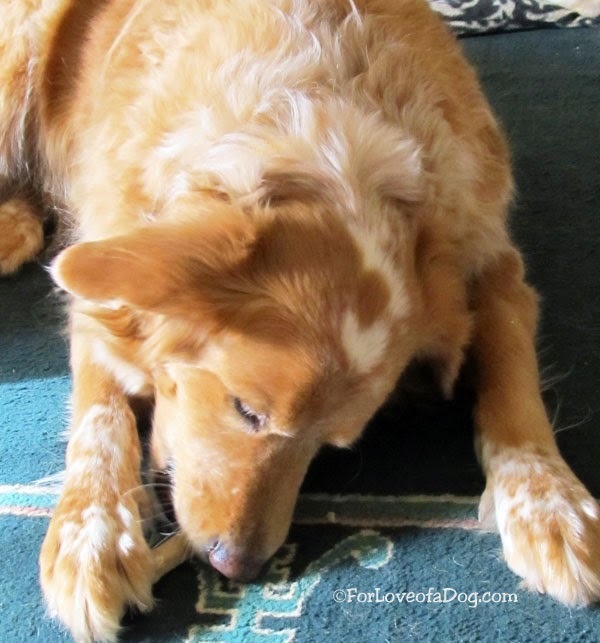 Rudy loves the crunchy goodness of these dental dog treats. 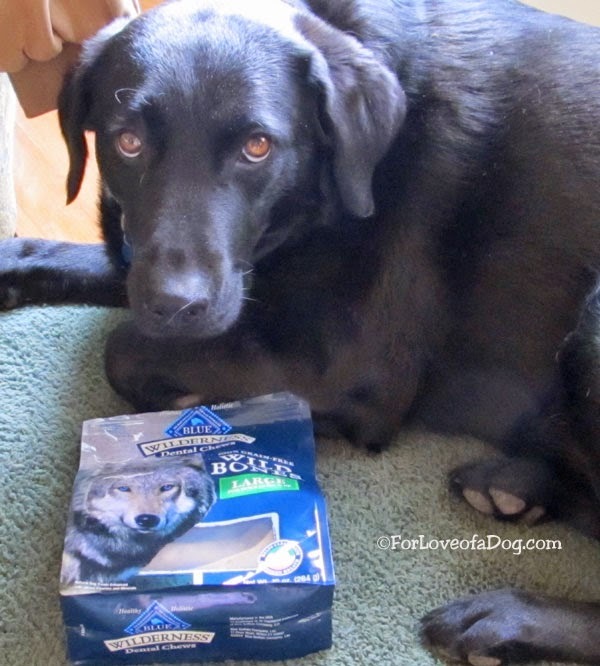 We're pleased to recommend both Blue Buffalo Wilderness Dental Chews and Chewy.com! 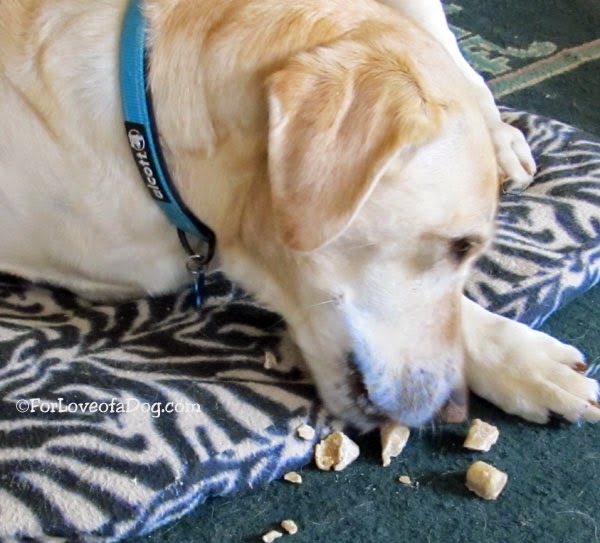 * We received one package of Blue Buffalo Wilderness Dental Chews from Chewy.com in exchange for our honest review of the product and service. They do look yummy and I'm glad they are not really blue! How cool! I hadn't seen the Wilderness line of dental bones. I'll have to look into these for Atka's sensitive tummy. Excellent review! They really loved them.